Newmarket Nights brings summer Fridays to life! Racing starts early evening and then as the sun goes down, the music is turned up. The perfect way to spend a summer evening. 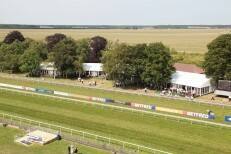 Newmarket has been home to horse racing since the 17th Century and is internationally recognized as the Home of Racing. Located in the panoramic Suffolk countryside yet only 90 minutes from the centre of London, Newmarket’s wealth of horseracing heritage and sporting excellence attracts royalty, celebrities, racing aristocracy, corporate giants and some of the world’s most famous jockeys and impressive thoroughbreds.